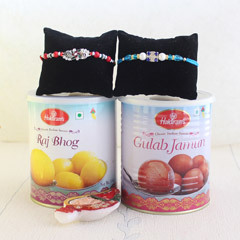 Whenever there was any problem, your brother has always been there for you, and he deserves all your love and affection especially on Raksha Bandhan. 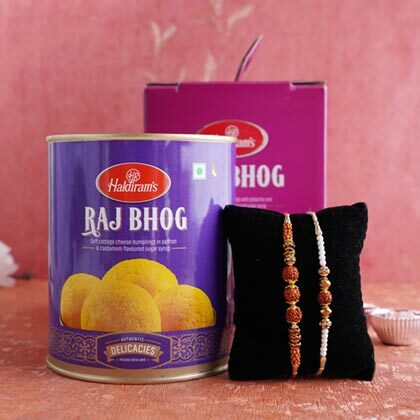 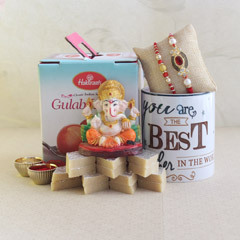 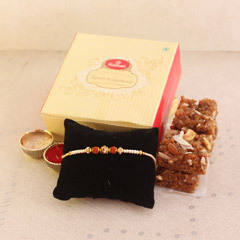 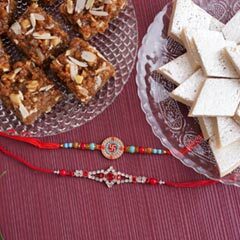 And, we are helping you with this delighting combo of Rakhi with sweets, and it will make for the best ever celebration. 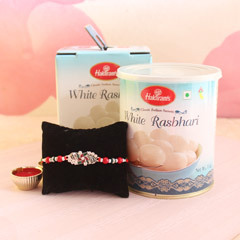 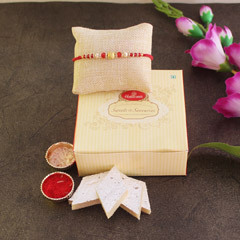 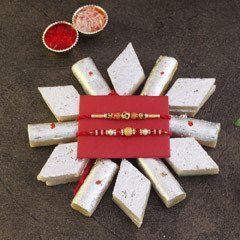 Two beautiful Rakhis here will make it a truly rejoicing moment. 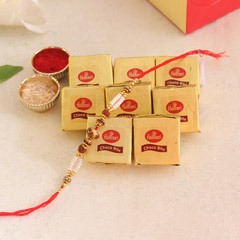 Just go for it!